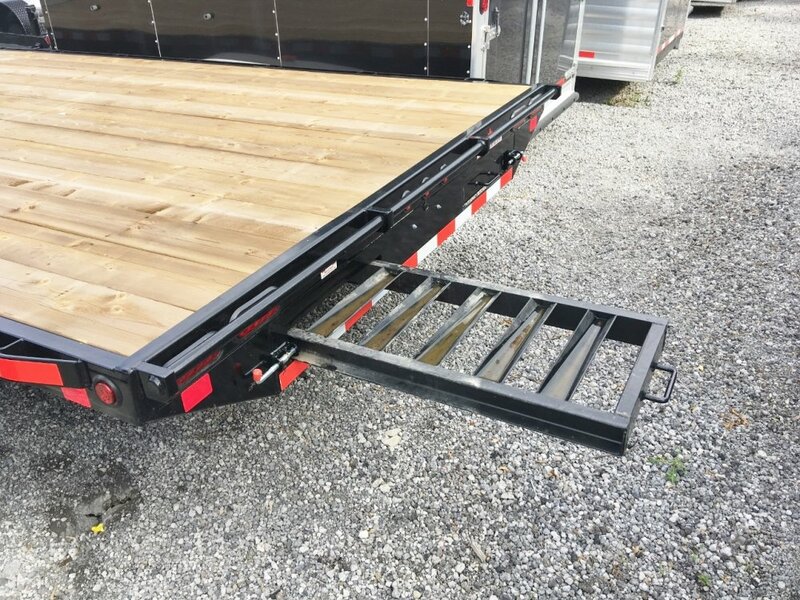 This is probably the beefiest built trailer in its' class. 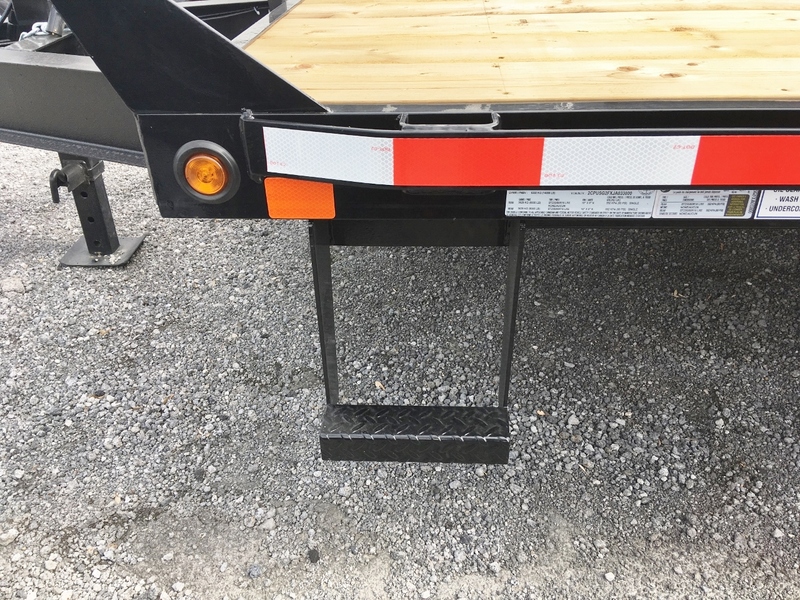 Full I-Beam frame construction with a full deck frame as well. 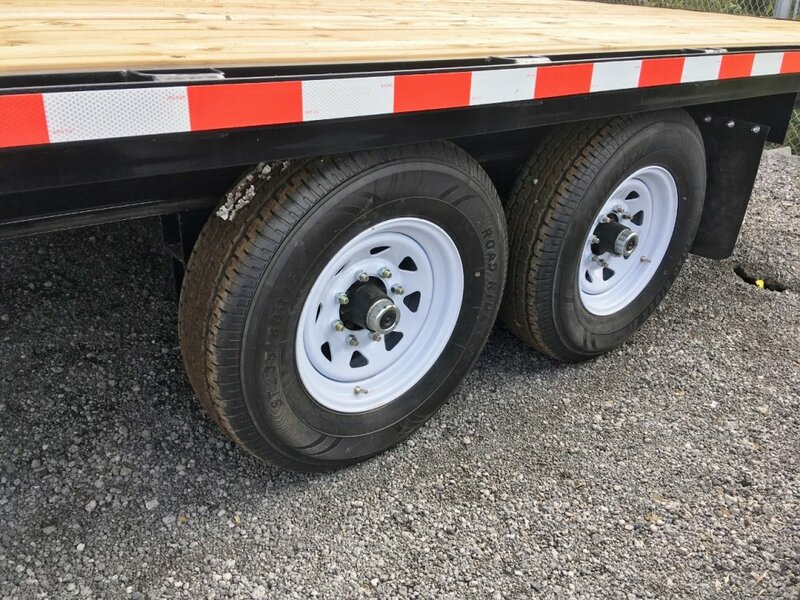 Slipper suspension, side step, 12K spring loaded drop leg jack, front bump rail, rub rails and stake pockets, 235/80R16 radial tires on 8 bolt hubs, brakes on both axles, pressure treated deck, 7' pull out ramps, adjustable coupler, Flush mounted LED lights, sealed wiring. 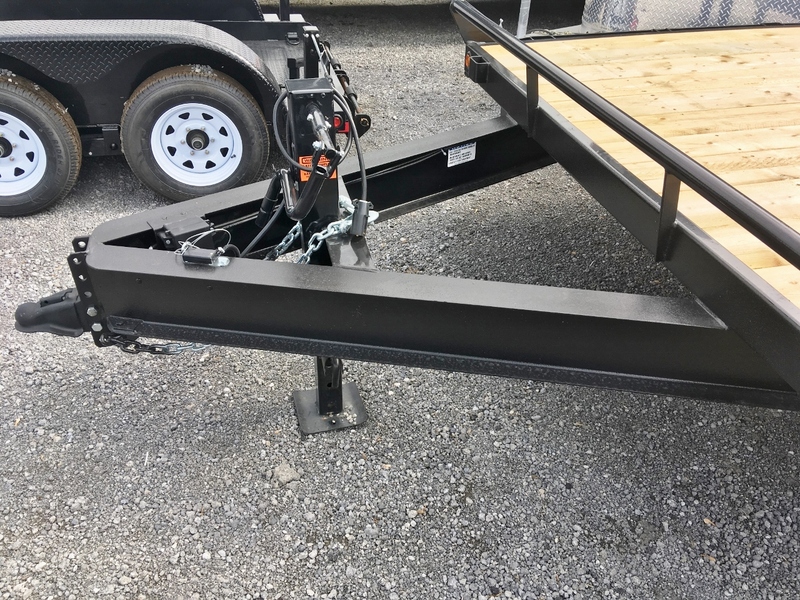 Come and see why this is the choice for those looking for an ultra strong straight deck trailer.